I like to paint in a series. It's a satisfying way to explore a subject or idea and to create a consistent body of work. 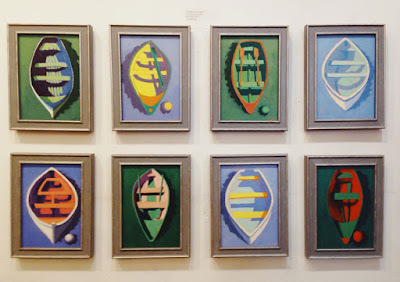 I've painted two series recently, an eight painting series of dinghies (or as my friend Michael calls them, "rowboats"); and a 16 mini-painting series. You may also remember my series of lobster buoys from late 2016. 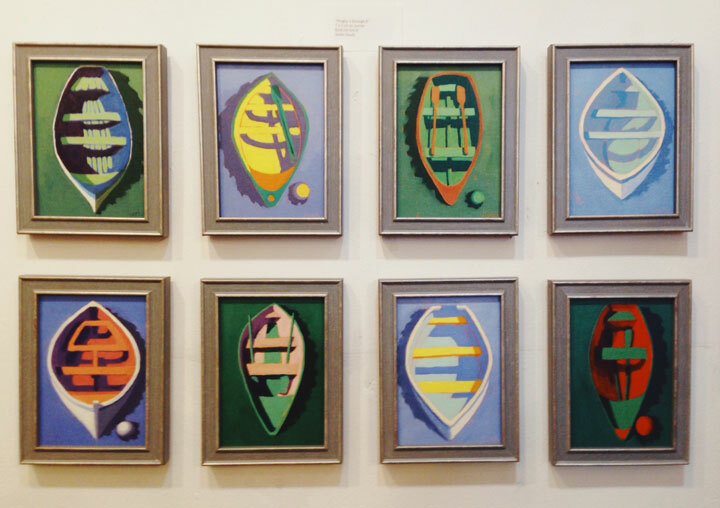 What makes a group of paintings a "series"? 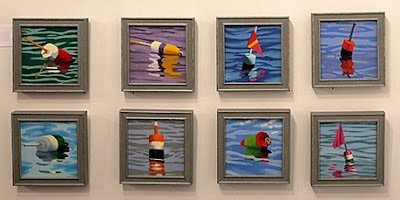 There needs to be a common thread, which could be subject matter, as in the dinghy and lobster buoy series. It could be a palette or a composition. It could even be size and medium, as in the mini-painting series. A good way to think about it is like variations on a theme in music. And there needs to be enough of them. I like to have at least eight. 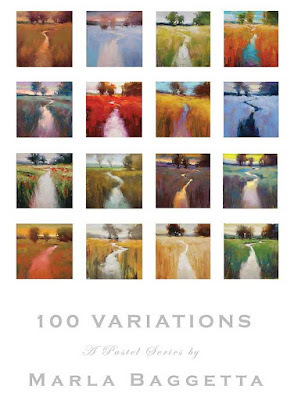 One of my favorite series, which continues to inspire me years later, is the 100 Variations painted by Marla Baggetta in 2009. 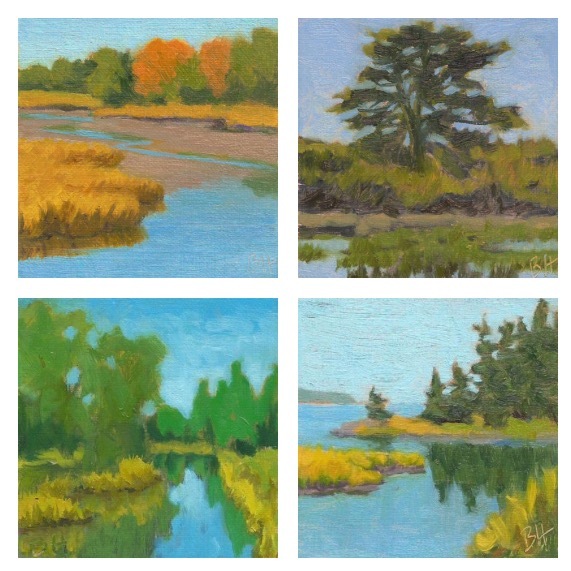 Marla developed a composition and painted it 100 times using different palettes and value structures. The referenced article from the Pastel Journal is a treasure trove of painting advice. 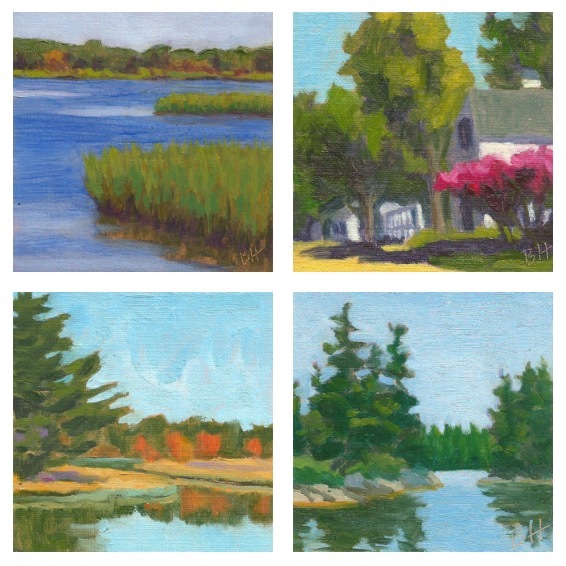 What are some of the advantages to painting in a series? There are many, some in terms of growing as an artist, some in terms of providing your collectors with insight into your work, as well as more interest from galleries and other show venues. This article is good reading. - Gather and cull your reference material. - Do some sketches first. - Take at least one painting through to the end to make sure that you don't see something in the finished work that you'll need to change at the composition stage.